Twitter works both ways. It gets word out to the right people... and to the wrong people. 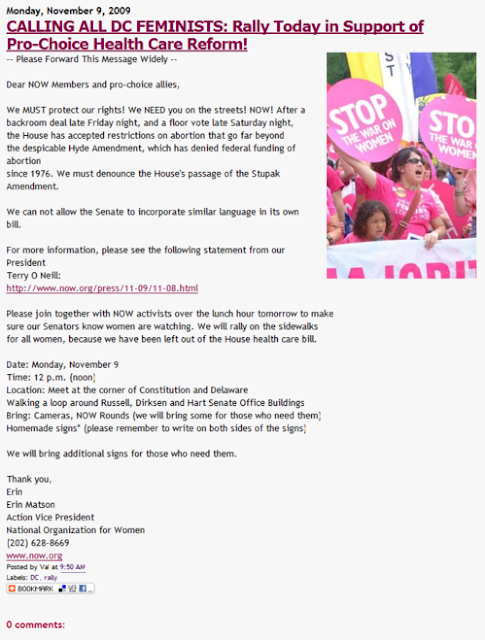 Such was the case this morning when I stumbled upon a tweet by National Organization for Women promoting a rally today in downtown DC to protest the House's passage of the Stupak/Pitts Amendment. The plan was to march around the Senate and House office buildings to scare senators. Click to enlarge..